May is often associated with Mother’s Day or the upcoming Memorial Day, but did you know that it is also Mental Health Awareness Month? It is, which means we have a duty to educate our patients, too. The color for mental health is green and can be seen all over. After all, Brandon Marshall began wearing lime-green cleats for mental health while playing with the Chicago Bears in October 2013. Marshal has been very public about his diagnosis of borderline personality disorder. And, since he violated the NFL’s dress code by wearing lime green cleats, he was fined $10,500. While he might have been fined by the NFL, the national news media bombarded him with attention so it did not fall upon deaf ears. Marshall ended up donating another $10,500 to a mental health organization. Depression – A study conducted by the Centers for Disease Control and Prevention found that people with sleep apnea were more likely to experience depression than people without it. Disturbances in sleep can affect mental health and the stress of having it is enough to send some people into depression. However, sleep apnea is particularly likely to interfere with mental health because of the reduced oxygen supply to the brain at night, which can alter brain functioning and increase a person’s likelihood of developing depression. 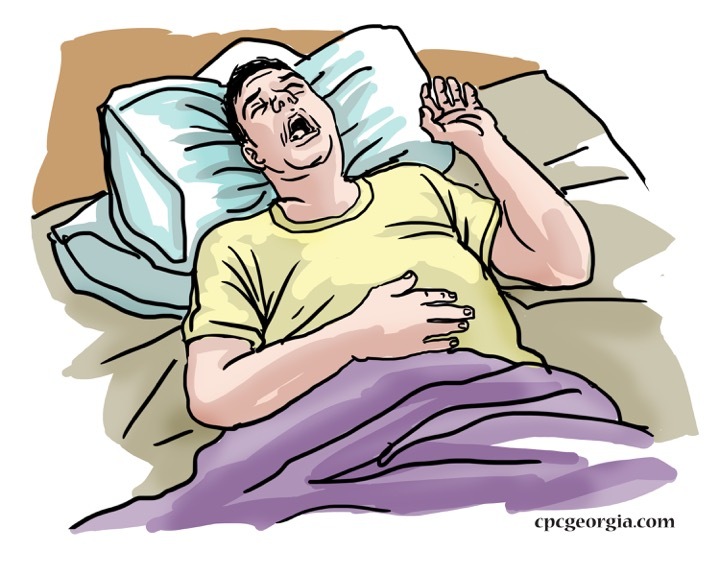 Anxiety – Sleep apnea affects people while they’re sleeping, which can be particularly jarring. Some people have to wear special masks connected to continuous positive airway pressure (CPAP) machines to ensure that they breathe normally throughout the night and the threat of breathing problems can cause severe anxiety. In turn, this anxiety may make sleep problems worse and sleep deprivation will continue to contribute to both depression and anxiety. Many problems associated with sleep apnea are interconnected—even stress throughout the day can make sleep apnea worse at night. With the availability of oral appliance therapy and other treatment options, we can help our patients not only find relief from their sleep apnea, but from mental conditions as well. So, for the month of May and onward, let’s continue to educate our patients and help them to improve their sleep and overall health. Does Coffee Make Up for Lost Sleep? We’ve all been there before. You wake up feeling more tired than when you went to sleep so you grab a coffee on your way to work. Sure, that does the trick and you feel rejuvenated and not tired anymore. But is the use of coffee only prolonging your tiredness? According to Sleep Review Magazine and research from the Better Sleep Council (BSC), American Adults spend more than $5 billion annually trying to compensate for their lack of sleep. While coffee might be a short term solution, what is really making us so sleepy? Approximately 82% of American adults report at least one night a week where they don’t get a good night’s sleep. And more than 6 out of 10 say they’re not sleeping well three or more nights per week. Additionally, more than half of Americans say they drink at least one extra cup of coffee, soda, or energy drink to compensate for lost sleep. Clearly poor sleep is disrupting our daily lives, but why can’t we seem to overcome it? It’s because a lot of the time patients are tired because some other condition is contributing to it, such as sleep apnea. We can help our patients get a better night’s sleep by offering suggestions and providing them with a proper diagnosis. 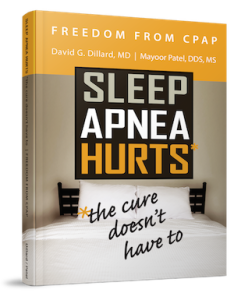 If a patient is suffering from sleep apnea, it is our duty to ensure they receive a proper diagnosis, which also means we need to establish the best set of treatment options for their health. Contact my office to learn more about what options you can offer your patients to improve their sleep patterns and health. When you’re learning something new, what is the best way to take in all that new information? By experiencing it firsthand! To help you and your team members gain a better understanding of providing dental sleep medicine and/or craniofacial pain services in your office, I encourage you to take advantage of my Shadowing services. Whether it is for one, two or three days, this “Over-the-Shoulder” seminar helps to provide your team with the opportunity to experience these services in person. Firsthand experience is the best experience possible. Choose from 1-3 days for our “Over-the-Shoulder” seminar to learn more about how I run a successful dental sleep medicine and craniofacial pain/TMD practice. The availability of a credentialed mentor can help propel you and your dental team to the next level in expanding your practice’s services. Through Shadowing we will discuss how to overcome specific roadblocks you might be facing or could potentially face in the long run. After all, I have been there before! The pieces will come together at a much faster rate than trying to do it all on your own. You will learn the Blueprints of a Successful Sleep Medicine/Pain Practice firsthand because the most successful individuals had to start somewhere. Just as many people will complete internships before moving on to their careers, we understand that dental practices need to gain experience through the guidance of a successful Dental Sleep Medicine and Pain Management Practice. To learn more about Shadowing, please contact my office and I would be more than happy to walk you through the process.